Here is the last post in our series of reasons to stay in the United Kingdom. 21. Continuing commitment to build RN warships on Clyde. -The UK defence budget is massive. And a lot of it goes into defence procurement. Scotland has a lot to offer geographically to the defence of the western world. 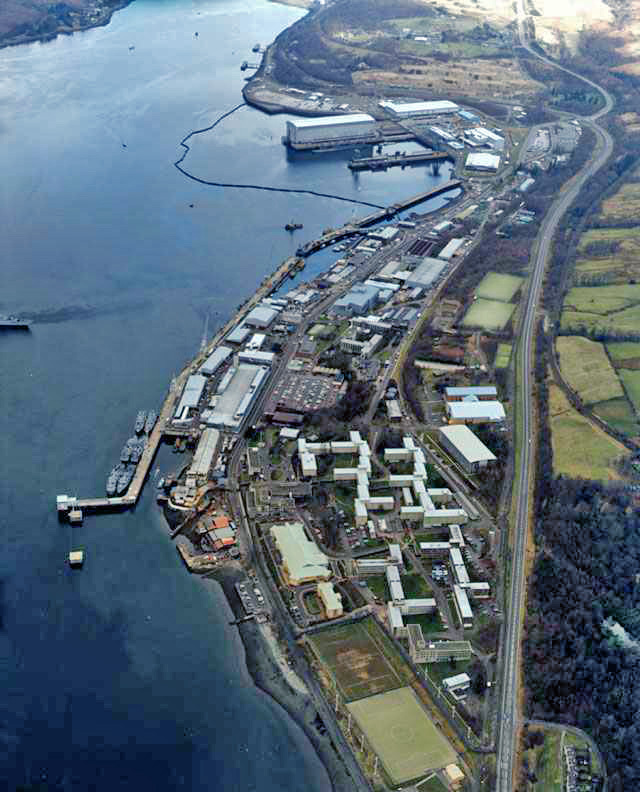 We have deep sea lochs ideal for submarine bases and we have some of the best ship building expertise in the entire planet on the River Clyde. Naturally the UK government would prefer to keep shipbuilding for the RN on the Clyde. However, if Scotland were to be governed as a separate state with a ruling party that made no secret of its dislike of all things British, especially our brave armed forces, denigrating them as fighters of illegal wars etc, why would the UK government place sensitive defence contracts into the hands of that government? The UK government does not build complex warships outside the UK. They have made that clear. The BAE chairman, clearly expecting a No vote, has no contingency plans for a move but says they would ask their customer, the UK government, how to deal with the situation if it arose. 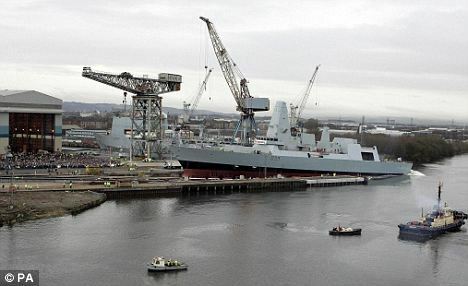 Vote NO to keep military shipbuilding in Scotland, protecting expert jobs on the River Clyde and the entire engineering industry that benefits from them. 23. Orientation towards wider world rather than focus on wee-bit-hill-and-glen.– The SNP are always telling us that they want Scotland to have a bigger profile in the world. But the biggest profile is achieved by working from the massive springboard that is the UK. Ever since the Act of Union, Scots have been listened to around the world because they are British. From David Hume onwards, Scotland’s ideas have crossed the globe, on the back of British presence. It is not unusual to find a Scot at the head of a multinational company or of a major international organization, or winning a Nobel Prize. Long may this continue, and the best way to ensure it continues is to stay within the UK, to be able to use the massive resources of the UK to promote Scottish talent and ideas across the world. 24. Greater clout – when dealing with hyperpowers of 21st century. The world is going to be dominated by China, India, Indonesia and other countries with populations in the hundreds of millions over the next century. The best way for the Western World to uphold its liberal values is to stick together and stay strong. This doesn’t just mean finding sensible ways to make the UN and EU work, it means staying close to our North American allies through NATO and also keeping intact our own successful alliance – the UK. Every negative fragmentary impulse that comes from the micro-nationalist movements of Europe is a tiny dagger in the heart of the Western World as a whole. We Westerners still constitute around 700 million people, across Europe and North America. Our time isn’t quite over yet, and we can use what time we have left to persuade the rest of the world to come round to our way of looking at things, guaranteeing a tolerant liberal world for centuries to come. 10% of the entire western world is made up of British citizens. Soon there will be 70 million of us. The best future for the 5 million of us in Scotland is to stay true to our Britishness and make sure we contribute to the next two centuries as much as we have to the last two. To sit on the fringes and congratulate ourselves on the fact that “we are different to the English” is to fiddle while Rome burns. 25. Access to top G20 power structures for Scots. – Because Scotland is in the UK, we are also represented in the G20. If Scotland leaves the UK, we will have no voice at the top economic table. The positive future for Scotland is in the UK, where we know that we can punch above our weight. The G8 was hosted at Gleneagles a few years ago. That would be the last time that happens if the SNP get their way. When Alex Salmond asserts that we will have a place at the top table, it is pure assertion, and no more. 26. Adequate balance of powers – between local, Scottish, UK and EU governments without too much power concentrated in too few hands. The Scotland Act of 2012 is the greatest transfer of power within the UK since 1707. All main parties are committed to further devolution. The federalization of the UK is going ahead, yet by preserving the Union preserves the muscle of the Union with Europe and on the International stage. By voting Yes and placing Scotland’s finances under the control of the BOE with no reprsentation in the UK Parliament, or by being at the beck and call of Brussels or Berlin, Scotland loses the ‘independence’ she has now. There is more actual ‘independence’ on offer in an increasingly devolved UK than there is in leaving it. 27. Access to the UK’s invisible earnings- The reason the UK is recoverin from the recession so well and why the economy is growing is because world investors have complete confidence that Britain can deliver on what she says. `so they invest in Britain and th strength of the pound, up by 10% against the Dollar since July 2013, continues to rise. Much of the reason behind this is the UK’s invisible earnings which earn her nearly £100bn a year. Nationalists tend to think in terms of tax revenue and point out that Scotland pays more as a percentage of UK tax income than she gets back. As a percentage of spending. This might indeed be true if the UK relied on tax revenue alone, but the Treasury derives income from other sources. If you look here; https://www.nao.org.uk/highlights/whole-of-government-accounts/ and click on Total revenue, you will see that the UK does indeed derive a lot of revenue from Direct tax, indirect tax and local taxes. However she also gains from sales of goods and services, and other revenue. These include such things as taxation on money transfers, legal fees, interest on assets abroad, arbitration services and UK investments abroad. The UK gets this because of the size of her economy. Scotland would be cutting herself off, with independence, from a stream of revenue which dwarfs North Sea oil production, and which there is no guarantee she could replicate to scale on her own. Instead of large profits from a large company, if she made a profit it would necessarily be smaller – and not in proportion to her needs. How wise is that? 28. The British Broadcasting Corporation – At present, every UK household pays a licence fee if they have a TV or watch TV online. 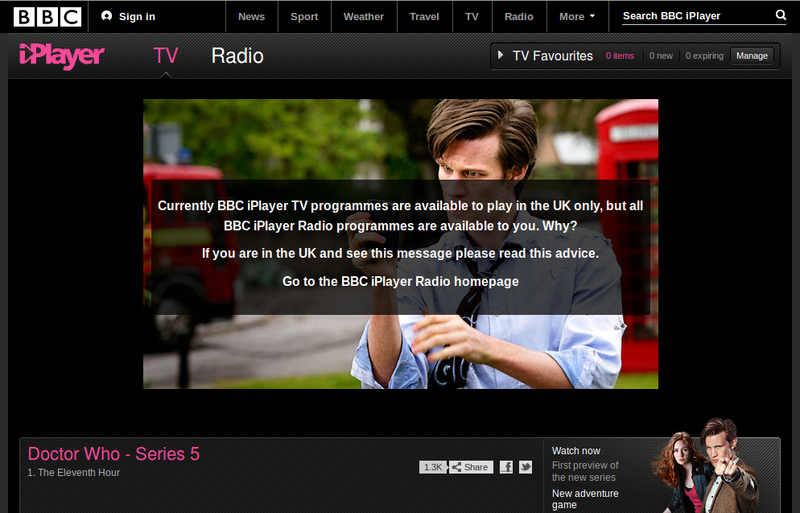 This gives us access to BBCs 1,2,3 and 4, BBC Alba, numerous BBC radio stations and BBC News. While good TV is made up here is Scotland, it is generally the type of TV that appeals more to Scots. The money that is not returned to us to make River City and Burns’ Night specials is used to make programmes that are bought all over the world, such as Doctor Who – which has become a huge franchise and brings money back into the BBC. By splitting the cost of programming with everyone else in the UK, it leaves BBC Scotland/ BBC Alba free to make more indigenous programming. However, if we split from the UK, we will have to pay the retail price rather than a share of the cost price for these programmes. This will leave less money for Scottish and Gaelic programming. 29. End of the divisive nastiness – that has riven our nation since the disastrous events of May 2011. Not really much to expand there, it’s self-evident…But let us not, in the name of doing Scotland good, deliver her to a bad place where bad things happen. What we have is not perfect- but in the great world we inhabit, it’s not so bad. Vote NO! If you spend any time at all on Facebook you will see the same request again and again and again. “Give me one good reason to stay in the union.” One of the regular Better Together posters made up a list of 29 reasons to stay in the union. This list has since been expanded upon. it is a lengthy list so we will split it into three. You never know, by the end of the week we may even have a 30th reason. 2. Defence – by the UK’s intelligence services: Scotland has already suffered one serious terrorist attack, at Glasgow Airport in 2007. The UK intelligence services are in the forefront of the international fight against such terrorism, in overseas intelligence gathering (MI6), domestic surveillance (MI5) and communications intelligence (GCHQ). 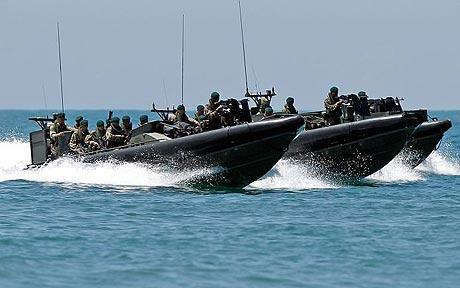 Scotland also has very vulnerable offshore assets in the shape of its oil wells, currently guarded by the Royal Navy and with perpetual emergency forces on standby (the Special Boat Service). The SNP would have us abandon the protection of the British armed forces and intelligence services. Mr Salmond thinks that a declaration that “we will be the friendly neighbours of the world” will be enough to make our enemies think twice. I know who I’d rather rely on. 3. Guaranteed continued use of Sterling. – A separated Scotland really only has 4 currency options. Plan A is to beg the UK to underwrite the Scottish economy via the Bank of England, letting us keep using the pound more or less as we do now, at the price of becoming a Crown Dependency. Plan B is to use the pound unofficially. This gives Scotland the advantage of trading in hard currency but without a central bank it means that the next economic shock could break us. This kind of unofficial currency arrangement is used by Panama, Zimbabwe and Kosovo. Does Scotland really want to join that club? once used to describe the pound, a currency he is now apparently so desperate to keep). The millstone is likely to be in for a rocky ride, causing unpredictable price hikes and interest rate fluctuations. Nobody is really going to want that. The best currency situation is found in full union with the UK. 4. International representation. – The separatists propose to have 70 or so embassies around the world, as opposed to the 270 that the UK has. What is their reply to those who quite reasonably ask how Scottish citizens abroad will fare with far fewer embassies to access? Quite simply that Scotland will come to some reciprocal arrangements to share embassies with other countries, like…… the UK! So we have the extra cost of maintaining our own embassies plus the costs of sharing with the very embassies they propose to reject! 5. Defence of Citizens abroad. – HM Armed Forces constantly are available to defend the interests of British citizens who may find themselves in trouble in war zones. This happened in Libya and is currently happening in the South Sudan. The SNP have no replacement for this, and can only protest feebly that it would be childish of HM Armed Forces not to also help Scottish citizens in the future. These are the same British Armed Forces that they roundly condemn at every possible opportunity. As always the SNP’s position is cynical and untenable. 6. Access to UK top power structures for Scots. – The separatists’ dreaded Westminster government is apparently dominated by Tory posh boys who simply love to exclude Scots from all power. So how come there are 5 Scots in the Cabinet of 22? Yes, we have Gove, Alexander, Carmichael, Duncan-Smith and Cable (honorary Scot). Being Scottish doesn’t seem to have blocked their way very much. And let’s not forget Dr Fox, who was on the cards to be the 6th Scottish cabinet member. Let’s not also forget the various Scottish PMs of the 20th and 21st centuries: Arthur Balfour, Sir Henry Campbell-Bannerman, Andrew Bonar Law, Ramsay MacDonald, Sir Alec Douglas-Home, Tony Blair and Gordon Brown. Scots have always punched above our weight in the UK, and we shall continue to do so, as long as we don’t turn our back on it for the wee-bit-hill-and-glen mentality. 7. Access to top UN power structures for Scots. – By virtue of being British, Scots have access to all the influence in the world that Britain holds. A permanent seat on the UN Security Council could be held by a Scot. In fact it was held by Sir Donald Maitland for several years. Pity that the Scottish government wants to deny future Sir Donalds (and Lady Donaldas) access to the same global status. Historically a Scot, Sir Eric Drummond, was the first Secretary General of the League of Nations, the first attempt to regulate relations among nations on a global scale. 9. 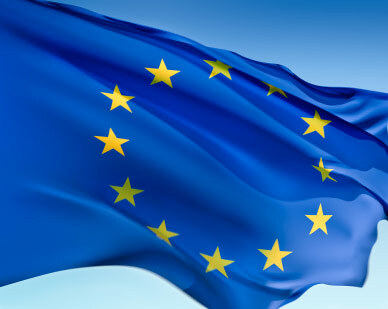 Continued membership of EU on our own terms, – not those of Euro federalists. The position of Scotland relative to the EU gets more uncertain every day. The separatists maintain that we will not only be welcomed with open arms but that we will have all the same privileges in the EU currently enjoyed by the UK – a rebate, freedom from Schengen, our own strong currency. Apparently the fact the all new member states have to sign up to the full Euro federalist package of adopting the euro and signing the Schengen, has escaped them. This is all set out in black and white in the Treaty of Amsterdam which all nations acceding to the EU must sign. Better to stay in the UK and keep the EU in the position most beneficial to us. 10. 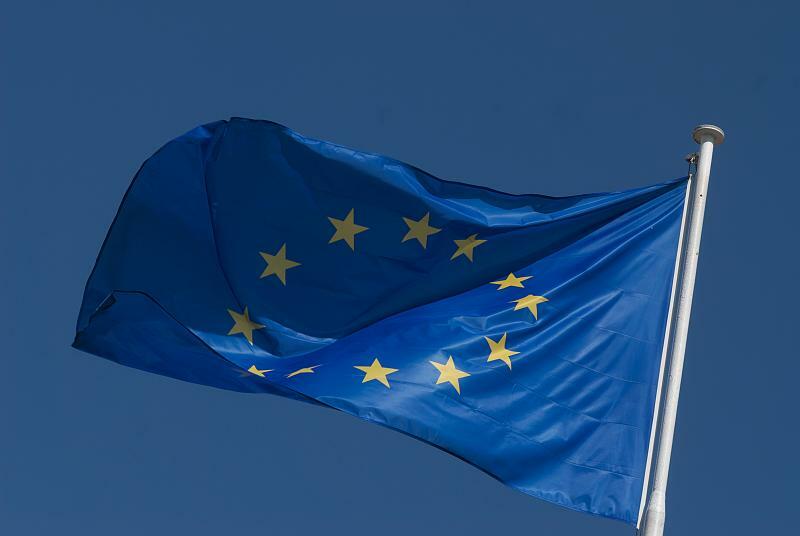 No obligation to adopt Schengen. – This is the most awkward of the EU’s demands on Scotland. Since the UK and Ireland, by virtue of being part of the EU class of 1973, are exempt from Schengen, we can keep a fairly open border with our Irish neighbours. However, if Ireland were to adopt Schengen, things would get a lot more difficult. Since Ireland would have completely frontier-less exchange with the rest of the EU, the UK would have little option but to set up a border to prevent migrants entering Ireland via its Schengen portal, then simply passing through into the UK. Of course, Ireland know better. Like the UK, they’ll stay out of Schengen. But Scotland won’t have the option. The British government has made it clear (January 2014) that a nation cannot be a member of Schengen (which Scotland would have to be) and be a member of the Common Travel Area at the same time. The Office of Budget Responsibility and the Institute for Fiscal Studies have warned that forecasts of Independent Scotland’s fiscal position by Nationalists are over optimistic. The UK government has made it clear that Independent Scotland with a differing immigration policy to rUK could not share a common travel area with them. The UK government has stated that it is extremely unlikely that they would consider currency union for Sterling with an Independent Scotland, and that it would not automatically be in the interests of rUK to do it anyway. Mr Barroso, and Mr Rompuy from the EU, and Mr Rajoy have stated that Scotland would not automatically be a member of the EU and would have to apply to join. If Scotland has to sign the Treaty of Amsterdam, then she will have to join the Schengen area and eventually adopt the Euro. Experts of all kinds have stated that an Independent Scotland in the EU could not continue to charge students from rUK whilst not charging students from other EU countries. It is contrary to EU law. An independent Scotland would no longer receive a rebate as the rUK would from the EU. Indeed by contributing to the EU they would, in part, be funding the rebate for rUK. Scotland’s economic growth is looking good, but the figures produced by the Scottish government did not include 2008 and the bailouts; without them Scotland would be in bad shape. Independent Scotland would not be able to keep the Bank of England, the National lottery, the Uk’s Embassies, and all the other institutions they have proposed to continue sharing. An independent Scotland would not necessarily receive the increased CAP payments from the EU that many Nationalists say they would. It would depend on negotiations with Brussels and Scotland would not have as much muscle in those negotiations as the UK enjoys now. Unlike what is set out in the White Paper, funding of research and innovation by the UK’s research councils would no longer apply to Scotland unless the departments concerned were in partnership with a body in RUK. The UK does not build warships outside the UK. No warship contracts would be placed in an independent Scotland. The UK government has made this clear. Bankers, Financiers and insurers have expressed concern about the effects of independence upon Scotland’s financial sector. They fear increased borrowing rates on the international markets and question what Scotland’s credit rating would be. Supermarket bosses have expressed concern that costs would go up in an Independent Scotland. They point out that at the moment they treat the UK as a single market and spread costs accordingly but divided into two markets with different systems of regulation, costs may very well rise. The CBI have expressed concern about the dislocation effects of independence and fear that the border effect would damage the £46 bn of trade done between Scotland and rUK each year. Defence chiefs and military experts have raised concerns about the effectiveness and capabilities of a new Scottish defence force. They point to a lessening of influence in NATO and an inability to carry out the full range of missions currently carried out by UK armed forces. There is no evidence of oil off the West coast of Scotland. Scotland on her own, joined to the EU would be less independent than it is now. They would be more under control by Brussels or Berlin than now. As part of UK she has far more muscle to resist diktats from the EU and to do things her own way. With continuing Devolution which is being discussed even now by the mainstream parties, she will soon have even more control over her own revenues and affairs than she does now. The Scotland Act of 2012 gives Scotland the greatest transfer of powers from Westminster since 1707 and is symptomatic of an increasing roll out of Devolution for the rest of the UK as Wales and Ireland get similar powers. If Scotland leaves the UK, she automatically leaves the EU, long before rUK gets any referendum on the matter – which may never happen. This could continue for a long long time. In any field of endeavour, in any area, the Nationalists have it right. The experts, the lawyers, the doctors, the pundits, the professors, the academics of all kinds and of all shades have it wrong. Think on this and think on it well. In the politics of denial, how many wrongs does it take to make a right? Can you answer the Nationalist Paradox? ‘Nationalist Paradox – discuss if you dare’ has been a common sighting on Better Together’s Facebook page in the last few weeks. It has irritated, flummoxed, annoyed and baffled Nationalists who of whatever colour and shade in Politics, cannot see what it means. This is because it is not included in the language of their particular discourse group. And they certainly are that – with their own language, morals, understandings, relationships, creeds and accepted values. The Nationalist Paradox is something they instinctively deny because they have screened it out of their thinking – and it is easy to see why because it is inconvenient to what they wish to achieve. Simply put, Scottish Nationalism is a great paradox, and on whatever level. It is a paradox, that is riddled through with sub paradoxes in many layers, like an enormous onion. Picture Nationalism as a great and shining onion, plump, shiny and desirable. Then peel away at the layers and what do we find? The greatest paradox of the Nationalists is that they offer Independence, yet there is more independence to be gained by staying in the Union. What they offer is not independence but fiscal dependence either on Brussels, or Berlin, or even on London without the controls they have now. That’s the over arching paradox; the skin of it. The “independence” they offer is not. They may point out that we are controlled by Brussels anyway through the Westminster middleman, and that Scotland could just as well liaise with Brussels herself. This ignores the considerable muscle of the UK in dealing with Europe as exemplified in our opt outs from Schengen, the Euro, and our rebate. Scotland alone would simply not have the strength in saying No! to Europe that the UK has – and therefore would be much more under control. That is not independence. The second layer is that they claim to be wanting Scots to be self determinant, yet a key stone of their policy is to boost productivity by opening the doors to economic migrants and excluding hundreds of thousands of ‘Scots’ from having a say in the matter. This will ultimately benefit thousands of non-Scots who come to Scotland but probably not the 7.4% of unemployed Scots. Whilst excluding Scots who do not live in Scotland from the referendum on Scotland’s future may be seen as democratic and reasonable- indeed the only way to stage such a referendum, there is an irony in who does have the vote. It is not ‘Scots’ but the residents of Scotland who will decide the future of Scotland – and indeed of the United Kingdom. These include in their number thousands of people from all over the world, some of who will not stay in Scotland anyway. People born behind what was the Iron Curtain, under Communism, Americans, English, – will have a voice in this whilst 850000 Scots in England do not. This is a curious type of Nationalism, and indeed is not what it appears. It is Secessionism, and many of those who want it give reasons that are not Nationalist but economic. What appears to be Nationalism is apparently, for the most part, not what it appears. The third layer is that they claim green credentials and ally with Greens and such, yet the bedrock of their policy is a fossil fuel which is running out. This is not very ‘green’. 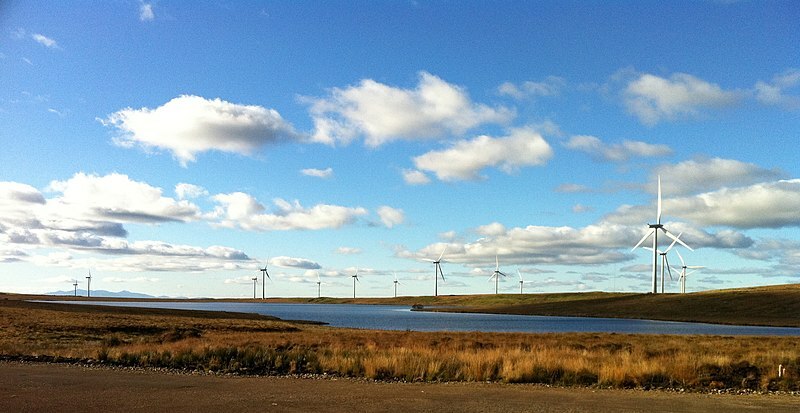 Neither is it very green to cover huge areas of beautiful Highland scenery with wind turbines. That is in itself quite a paradox, however there is another which is of greater irony than most. Paradoxically this disallows them from using the vast wealth under Scotland’s feet which could be exploited through Fracking ,or coal gasification which they do not even consider. Which raises the question if their ‘ideology’ is actually good for Scotland? A linked paradox is that if clean ways could be found to utilize the massive amounts of gas and coal under Scotland, then there is more than enough to fund independence. Yet the available money is put into types of power generation that for the most part cannot supply base load to a national grid. The 4th layer of paradox is that they claim to want a more inclusive Scotland, welcoming, honest, open, bustling, yet what we see is secrecy, stonewalling, propaganda, elitism and exclusion in their tactics and language. They stated they had received advice on the EU when they had not. But when they did seek advice they refused to publish the advice received- and still have not. They have also been observed lying or misleading on several occasions, even within the walls of Parliament. They have cooked up a vast fantasy about oil on the West Coast when there is no evidence that it exists. They claim that England has stolen seabed from Scotland when the evidential record proves conclusively that this has not happened. Even this week they claimed that BAE will continue operations in Scotland based on a half quote from the BAE Chairman, when if you read it in context he makes it clear that how BAE would react would be in accordance with how their customer, Westminster wished to deal with the problem. And for all their talk of inclusion there is a strong element of anti English feeling in many of them that is no longer banter but racism. They claim that Scotland subsidizes England. This is not true, and neither is it true that England subsidizes Scotland. What it would be more accurate to say would be that the four nations of the UK have united their economies into a larger one, and benefit, as shareholders, from any dividends. However that is actually not relevant. The Paradox is that by voting for independence they have to apply to enter the EU and will not partake of the rUK rebate and will end up subsidizing … England via the rebate which they will no longer get but will contribute to. They talk of ‘Wastemonster’ yet spend vast amounts of public funds on their own expenses and propaganda. They spend money on trews, hotels, expenses, their own propaganda yet see no contradiction or irony in accusing Westminster of the same. This is a tragic paradox, for they offer false hope to those who have not. The have nots want more and think they will get it by voting for independence. The Nationalists have ruled out increasing tax on Oil. They have promised to lower Corporation Tax. They want a Scandinavian style society. There is only one way that they can make up the shortfall in spending for the society they wish to achieve. Taxes must go up. Not a little, but a lot. How else could it be done? But if they do, then the over taxed haves will leave, and the have nots will end up with less. The goose that lays the golden eggs will leave. This is a charlatan’s trick. The Nationalists claim that Scotland independent would be Scotland more democratic. Yet they rule by imposition. Caithness Councillors were unanimous in opposition to Gaelic road signs and a requirement that new teachers be able to speak Gaelic, yet they had it imposed on them. The nationalists favour wind power, an expensive and unreliable form of energy that pushes electricity bills up, yet champion the poor – who cannot afford the higher bills and drives them into fuel poverty. They grumble when the UK government removes the requirement from the energy companies to buy onshore wind. They also accuse the UK government in a press release this week of not funding offshore wind when the UK government announced increased subsidies for offshore wind on December 4th 2013 wihcih was widely announced in the Press and may be searched for on the net. The Nationalists claim to be concerned about poverty and inequality in Scotland yet have no anti poverty strategy or policy in place. For this lack of policy, Leslie Riddoch, a Yes voter told them off in her own column. Indeed they diverted £1bn of anti poverty money to other places to make up for shortfalls in local spending after freezing Council Tax. They blame the UK government for underfunding them and point to the Joseph Rowntree Foundation and Dr Barnardos as both saying that not enough was being done to address poverty in Scotland. Yet both these bodies stated that although they recognized the limited powers of Holyrood, there was a lot more they could be doing with the powers they had. They claim that they wish to have no nuclear weapons in Scotland and decry Trident, yet in their White Paper they allow for flexibility on removal and are prepared to let visiting NATO vessels use facilities in Scotland on the basis of don’t ask don’t tell. They wish to join NATO, an organisation they were against for years. They think they will reap billions to spend on other things by cancelling Trident. They claim that Trident costs £30bn, yet do not mention that this is spread over nearly 40 years, and that the money is not spend to buy Trident to maintain it. It pays the wages of thousands of people in Scotland. Paradoxically the rUK could afford the pay for Trident at about £3bn a year out of the £100bn in invisible earnings that she reaps each year, and in which Scotland currently shares. That revenue stream will be closed to Scotland after independence. The UK spends about £34bn on defence every year. It is not one of the big spenders. If Scotland were entitled to 10% of that (in reality its about 9) then she would gain £3,4 bn. That includes Trident. It is not a lot of money. Indeed the paradox is that is about the maximum of what is spent on Trident each year. It would have to be spent on creating new jobs for the people who would lose theirs after Trident left. Another paradox of this is one of the purposes of Nuclear weapons. We hear a lot about deterrence – but that is not the sole purpose of nukes. They save money. If you have nuclear weapons then you do not need large conventional forces in the event of large scale conflict. This not only saves money on buying personnel and kit, but on the research needed to develop the new generations of weapons and the industries to build them. You can still be a big player on the world stage but have smaller forces. Paradoxically this makes the world a safer place because there are fewer conventional weapons around. Scotland has played a huge part in the development of the United Kingdom. Indeed it can be argued that the United kingdom was a Scottish creation, forged by a Scottish dynasty and is now a nation with one of the biggest economies, and generally one of the better standards of living in the world. The great paradox is that those who wish Scotland to be independent cry this down. To them Scotland is a miserable downtrodden place, starved of funds by a government ignorant of Scotland, with only 59 MPs, undemocratic, neglected and victimised. Scotland the victim. ‘Too wee, too poor, too ignorant’ they cry at the No voters, yet you would go very far to see a No voter who would actually say this. To No voters Scotland is a vibrant and proud place with great culture, scenery, industry and prospects of being even greater with the advance of further Devolution. No people are positive about Scotland and her place as a shareholder in a large Union which has more clout as the sum of its parts.. Yes voters ask what the positive things are about staying in the Union – but ignore lists of positives when repeatedly placed in front of them. It is quite a paradox that the people supposed to be most upbeat about Scotland end up being the downbeat, the victims, the ones who do Scotland down. This one is the scaremongering of the Yes camp. The UK, they say, is finished. They point to an advertisement published by a magazine called Moneyweek over a year ago called ‘The end of Britain’ and use it as ‘evidence’ to prove that Britain is finished. Which leads one to wonder if this is the model they would wish to see followed in an independent Scotland? In reality the article was completely demolished in February last year by the noted Banking advisor Frances Coppola yet still gets trotted out as infallible proof that the UK is finished. The great paradox here is that since the crisis over the Euro, the Independent Scotland wishes to use the pound. The nationalists apparently see no irony or paradox in wishing to shackle themselves to an ailing and failing currency because they now think they have a share in it. The pound at any rate is not an asset – it’s an institution; the difference is not subtle, but you can’t really carve up an institution. To be independent Scotland needs her own currency. Even in the unlikely event she would have a currency union – or use the pound as a dollarized economy, she would still not have control over her own finances. To vote no, we are told, is a betrayal of Scotland. No voters are ‘not true Scots’. Yet surely the vote is about what is good for Scotland? We have a scenario set out in the White Paper published last November, Everybody now knows what the Nationalists was- if not how they will pay for it. But the great paradox here is that it might actually be the Nationalist who are betraying Scotland. There is no ‘what if’ about their plans. They will not even concede the necessity of a plan B for currency. But the great ‘what if’ here is what happens if they cannot deliver after voting Yes? What will they have delivered Scotland to? Could it be analogous to Ireland? Will the young leave to find jobs in the southern part of the British mainland? Will industries, companies, enterprises relocate and shrink? Will the poor finally get a poverty strategy which does them no good because the money has run out? Will great houses and museums and monuments become shabby because there is nothing to spend on them? Will the population rise as cheap labour is brought in to boost the economy, driving down wages and eroding worker rights? WIll power have to bought from England when the wind does not blow? Will the NHS continue at its current levels? Can pensions be afforded at current levels? And Scotland ends up poorer, leaner, declining, shrinking, having sold her shares in the huge company she was a shareholder of and set up a corner shop? 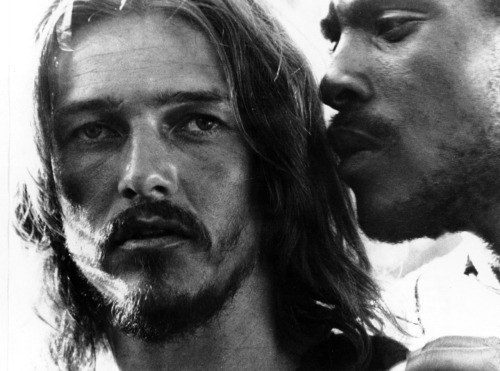 If that happens – but of course it never could, then where is the betrayal, and who is the Judas? Could Scottish Universities Flourish in an Independent Scotland? 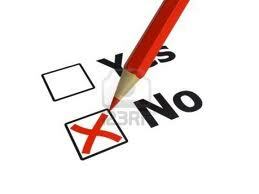 Professor Jill Stephenson looks at the challenges that universities face if there is a Yes vote on 18th September 2014. Scotland than in the rest of the UK, but it is nevertheless a matter of considerable pride that they are so successful in this very competitive area. Some of this money comes from charities that are outside Scotland. A fair proportion comes from the UK research councils, who use a system of peer review for and can draw on a wide circle of referees for this purpose. Could an independent Scotland expect London-based research councils to continue to disburse some of their funds – which come from the London government – to Scottish universities? I doubt it very much. Yet both staff and postgraduate students have depended for decades on these funds, which are awarded competitively, for the pursuit of their research. A Scottish research council would have far less in the way of funds, and the system of peer review for disbursement would involve a narrow circle of referees. Why would we want an inferior system to the one that currently obtains? Beyond that, I have heard a distinguished professor explain that subscriptions to international research facilities, such as CERN, are very expensive indeed and cannot be afforded by small countries. Smaller countries, he said, have to form consortia to be able to afford membership for their universities and research institutes. But we are already in a consortium, the United Kingdom. Why break it up? I am further concerned about the kind of pressure that Scottish universities might be under if ‘independence’ were achieved. Alf Baird, a professor at Napier university has complained (Scottish Review, 14.02.13) that Scottish universities are not Scottish enough. Too many of their leaders and senior staff are not themselves Scottish, he says, as if being Scottish were the best qualification for appointment to chairs in a wide variety of academic subjects. People doing research in Scotland, he says, should have a ‘Scotland agenda’ – because currently researchers in universities don’t focus their research on alleviating child poverty, fuel poverty, etc., in Scotland. No, of course they don’t. Universities are not political interest groups and should not be narrow Nationalist training colleges but rather institutions where intellectuals push forward the frontiers of knowledge across a large range of disciplines. If they had been working in universities with a ‘Scotland agenda’, would professors Higgs, Wilmut and Pennington have achieved the remarkable feats in their research in Scottish universities that have brought them international renown? Genuine research knows no international barriers. Yet Alf Baird’s view is that: ‘With much of the research at Scotland’s universities nowadays undertaken by academics coming from countries outside Scotland, they might be forgiven for not bringing with them a personal priority or interest to research matters that are of importance to Scotland. Hence, much of what passes for research in Scotland today is not always of relevance to Scotland or its people. 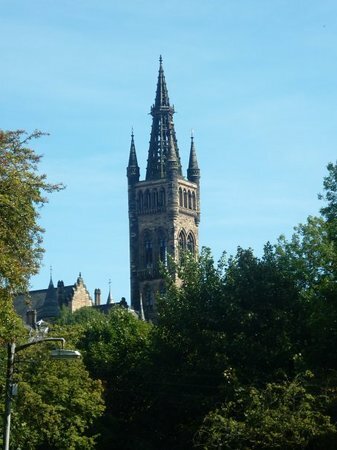 Existing research and teaching at Scotland’s universities may very well be described as “world class”, but it is clearly not providing the solutions needed to help overcome Scotland’s continuing, deep-rooted problems.’ Baird’s solution is that: ‘Scots need to seriously consider the role our universities play in today’s society, and in the future. That role should primarily be to educate the people living in Scotland, to help develop and grow Scotland’s economy, and to better Scotland’s society’. This, I readily admit, is one man’s view. But how many Scottish Nationalists would agree with him? I worry that this is the kind of agenda that a separatist Scotland would embrace, turning our great universities into parochial training colleges with a ‘Scotland agenda’ that would stifle genuinely original inspiration, research and innovation. We should keep Scotland’s universities as outward-looking and, yes, cosmopolitan institutions, and we have a much better chance of doing that if we keep Scotland within the United Kingdom. I would like to take this opportunity to welcome you to our new blog. We are a group of Scots who believe that Scotland should remain part of the United Kingdom after the September 2014 referendum. With less than eight months to go until the vote, the internet is rife with information, disinformation and downright lies. We want to arm you with the correct information. Stay tuned for government statistics, EU documentation, independent studies and much more. We are not apologists for Westminster or the current Conservative/ Lib Dem coalition. We have differing opinions on a wide variety of the topics at hand. But we all agree on one thing, Scotland, and therefore the Scottish people, are better off as part of the union. Please note that trolling our comments is not acceptable. Any violations of the law will be reported.